NSW broker and Better Business Awards winner Louisa Sanghera reveals why she set up her own networking group in the North Shore. Speaking on the Elite Broker podcast, Ms Sanghera said that the group was borne out of necessity, due to a lack of choice. While the Zippy Financial founder eventually found a Business Network International (BNI) group near her, she realised that getting up early in the morning and hiring a babysitter to look after her children wasn’t sustainable in the long run, given the lack of leads she was getting back. Ms Sanghera said that the group, called Connect for Success, now has more than 1,000 people engaged and hosts coffee mornings every fortnight as well as larger events. Ms Sanghera recommended that other brokers look to set up their own networking groups, adding that it “doesn’t have to cost you that much”, and many referral partners, such as accountants, are often willing to give up their time to speak for free. “I just said to an accountant, well, you can run a workshop to educate the businesses. They come for an hour, they don’t have to pay anything. We just hire a room for $30. The accountant gives the free time, so it’s not costing a lot. Ms Sanghera’s Connect for Success group was awarded the Best Community Engagement Program award at the Better Business Awards 2018 earlier this year, while she was named Rising Star at the Better Business Awards NSW. 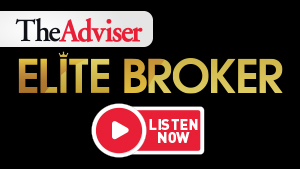 The broker is also a finalist at the Australian Broking Awards 2018 in the Rising Star category. The national Australian Broking Awards is a not-to-be-missed event that recognises outstanding performance in the broking industry. Taking place at a luncheon at The Star on Friday, 29 June, the awards recognise the nation’s top mortgage brokers and brokerages. Tickets are running out, so make sure you purchase yours soon and join us at the industry’s most coveted awards program.